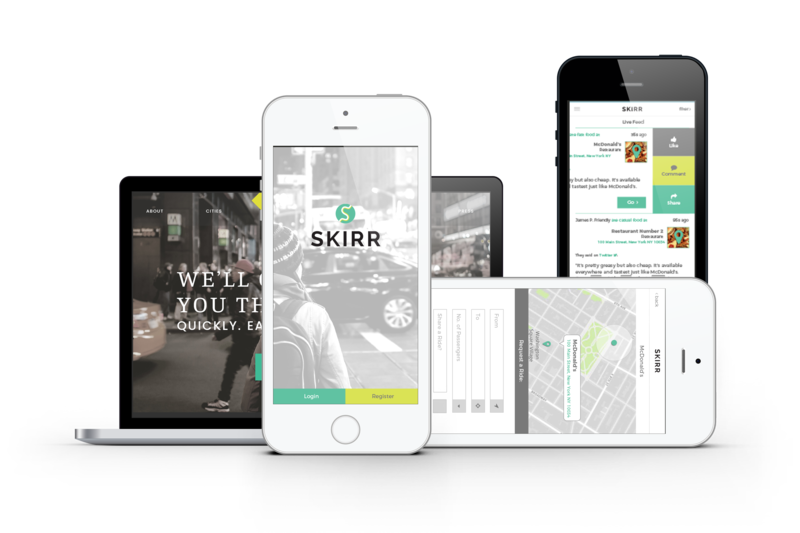 SKIRR was a brand-new app idea that combined social media, location sharing and reviews with the ability to obtain on-demand transport services throughout major metropolitan areas. By posting where you are and what’s happening, others could join in straight through the app. As part of Twice Media, I was presented with the task of translate the engineers’ ideas from technical specifications to a full user experience. Additionally, as the app had no clear and cohesive brand, I was asked to create one as well. The logo was created with the idea of a “clear path” in mind. I expanded this into a complete brand identity for the application, with typography, color scheme and iconography as an important component. This, in turn, became the basis for the updated UI which took into consideration both the functionality desired by the app engineers as well as general iOS functionality. A website to showcase the app was also designed, with an Android app to follow closely. Unfortunately, with too much competition in the market, the startup decided not to continue development of the project after the design phase was complete.